I don't even know where to begin... Let's start with: I'm in the Netherlands to visit my parents. I have been here for over a week already and will actually be on my way home soon again. It's amazing how much happened in this short time... I haven't had time to breathe even! Nice things, and also sad things. 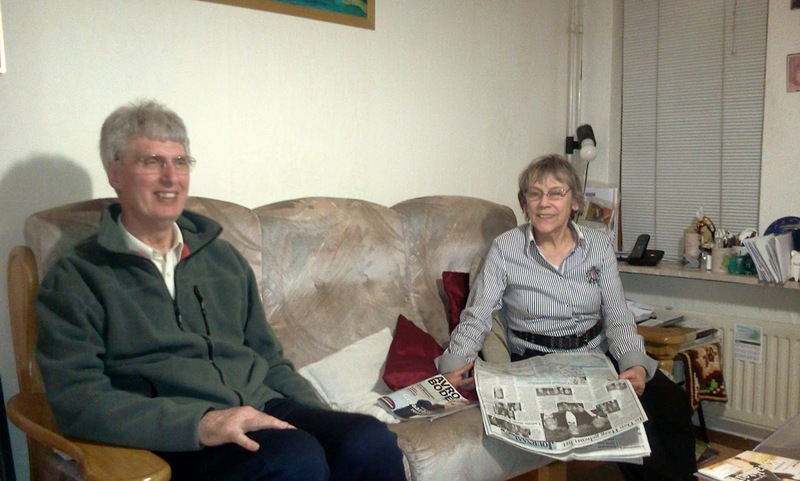 The very nicest of all is of course to see my sweet parents, a year is certainly too long - though last year they were lucky... I was here for a whole month because of the Iceland ash cloud. Oh wacht je niet te lang met een nieuwe update??? Ben heel benieuwd naar alles! En al lekker frietjes gegeten? Hele fijne tijd daar en geniet maar lekker. Denk dat het weer in NL even beter is dan in Canada!